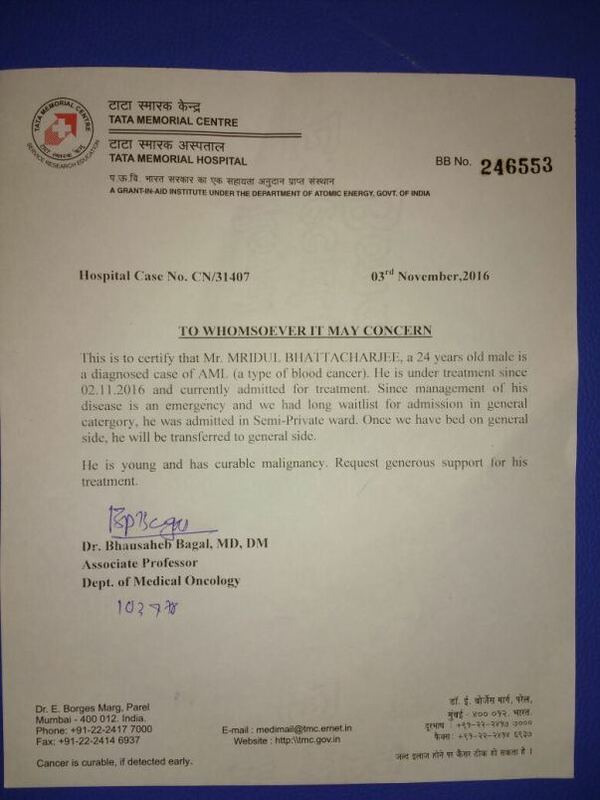 Mridul Bhattacharjee, a 4th year Engineering student has been diagnosed with blood cancer (specifically AML type). His father passed away last year leaving him to look after his sick mother. He does not have any siblings either. Currently he is being supported by his college friends, professors and volunteers across different segments of society, specifically by Kalyan Sir (73493 72561) and his school classmate Shashi Pandey (90311 82700). 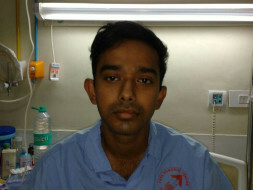 He is admitted in Tata Memorial Hospital. Fortunately he is in the best place for treatment, at Tata Memorial Hospital and Mridul's chemotherapy treatment has now started. The hospital has given a cost estimate of Rs. 10,00,000 for medical expenses. In the long run it may be difficult for us to manage these expenses. With help from his network we have managed an amount of 4 Lakhs and still need 6 Lakhs to support him and help him fight through this battle. 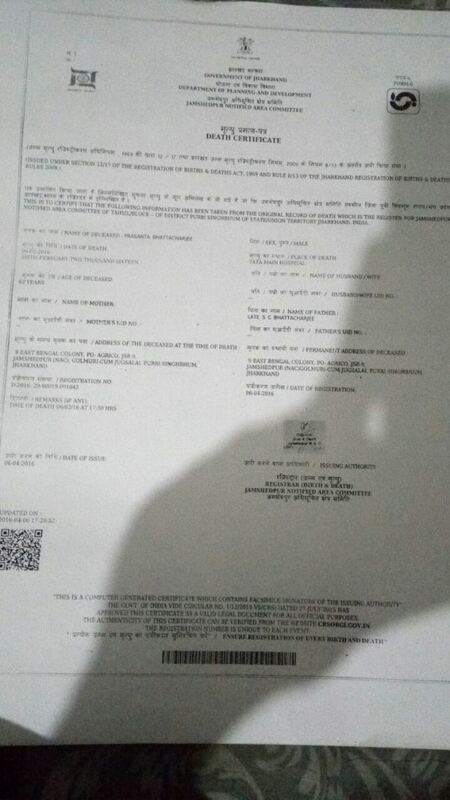 Please help Mridul make it and lead a healthy long life. Thank you for all the support you have shown towards Mridul. 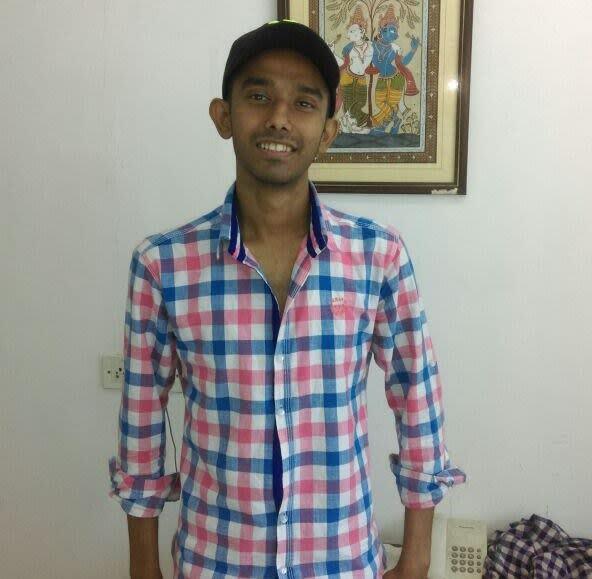 We received news that Mridul passed away. His family is devastated. He fought very hard however succumbed to complications and could not make it. The funds have been utilized for this medical expenses and treatment. Your support ensured that he received the best treatment possible. Please do pray that the family finds strength in this time of need and thank you for all the love and support you have shown him. Thank you all. Please do pray for his soul to find peace. Greetings everyone from Centurion University, Odisha. We would like to extend our heartfelt thank for all your support, cooperation and good wishes for Mridul at the time of need. We are sure that you will be happy to know that finally after a long five months struggle, Mridul is returning back from Mumbai to his home town Tatanagar today in the evening. As per the advise of the Doctor, he also can join University after one month of rest. This is all possible because of all your help and support from every angle which seemed to be impossible at the beginning. Special mention of all the Doctors associated with the treatment of Mridul. 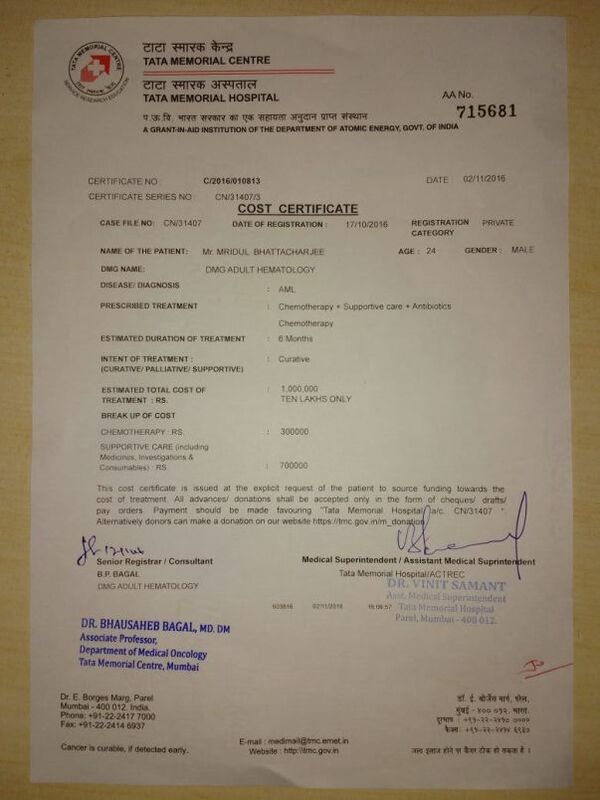 Till today almost 25 Lakhs has been spent on Mridul's treatment. We got support in different forms from different people and organisation of the society. There were many contributors towards the cause without whose support this would not have been possible. We received non-financial support from different people. 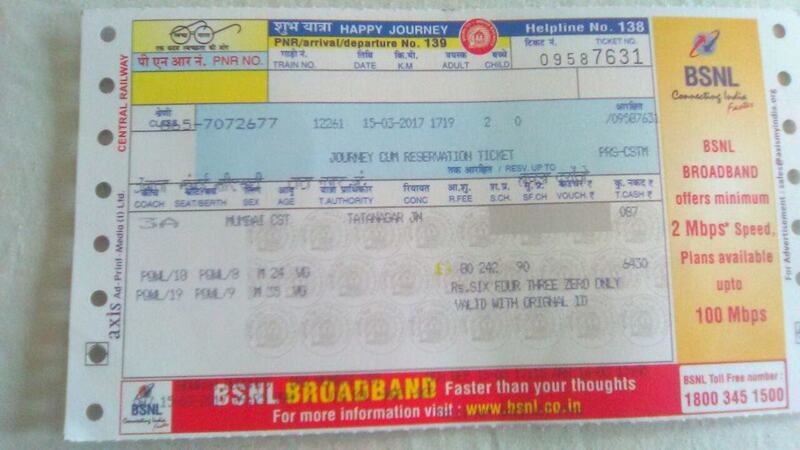 Please find attached return ticket and photograph of Mridul taken today morning at Odisha Bhawan, Mumbai. I am Radhika, a Milaap fellow and here is a recent update on Mridul. 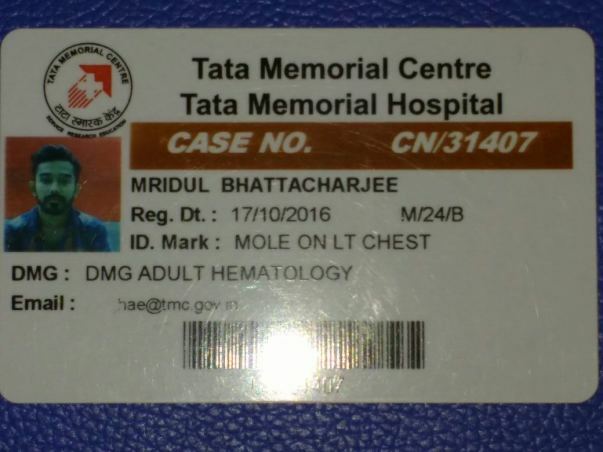 Mridul is regular with his cancer treatment at Tata Memorial Hospital. On 24th Jan, he underwent his third session of chemotherapy and is scheduled for his fourth at the end of January. In the third week of January, his reports showed a fungal infection in his chest. According to the doctor, this infection was unexpected. His condition is critical as his recent blood test report showed a huge fall in his platelets; from 91,000 to 19,000. Thank you for pouring in your generous support and standing along with Mridul. Do keep him in your prayers. It will be great if you can share his campaign as any form of contribution will only help in his treatment. Get well soon dear Mridul.